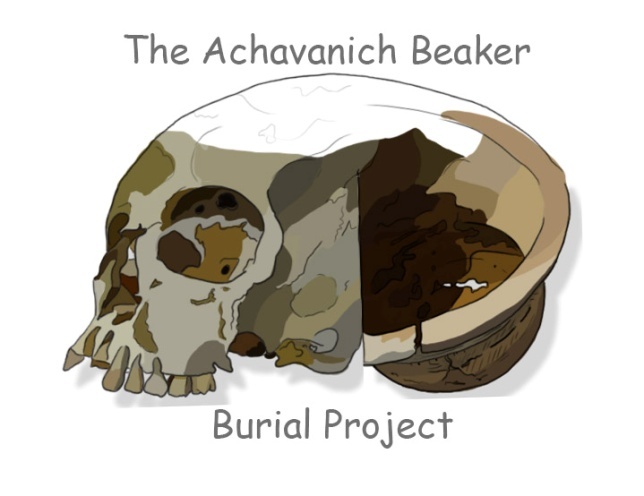 An examination of the skeletal remains has been undertaken by an osteologist and burial archaeologist, Angela Boyle, a current Edinburgh University PhD candidate working with National Museums Scotland. 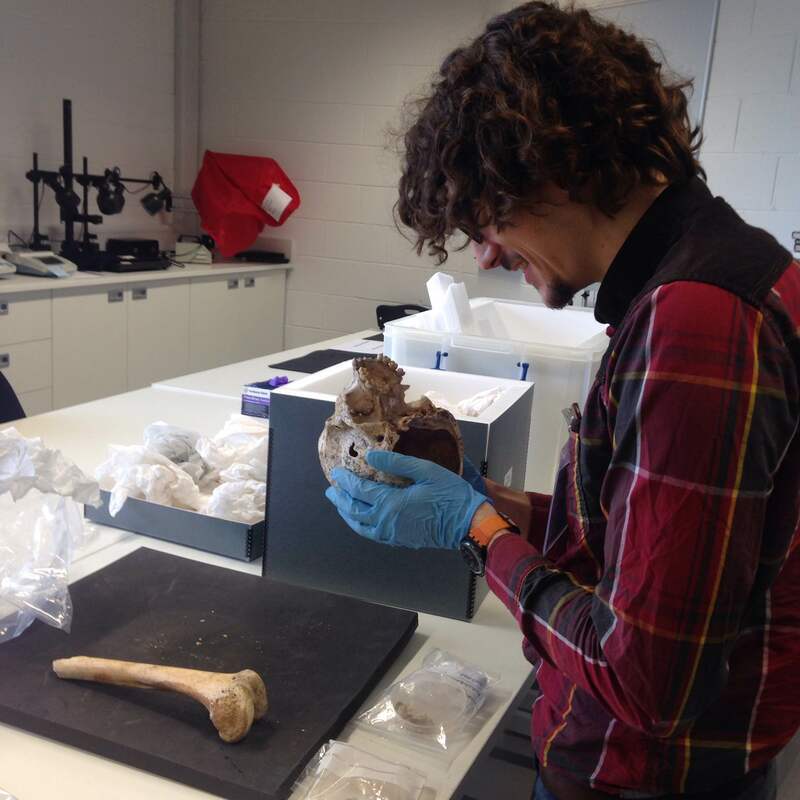 The cranium has been sampled for inclusion in an ancient DNA project funded by the Wellcome Trust by the Natural History Museum in London – a big thanks to Dr Alison Sheridan for helping to make this happen. 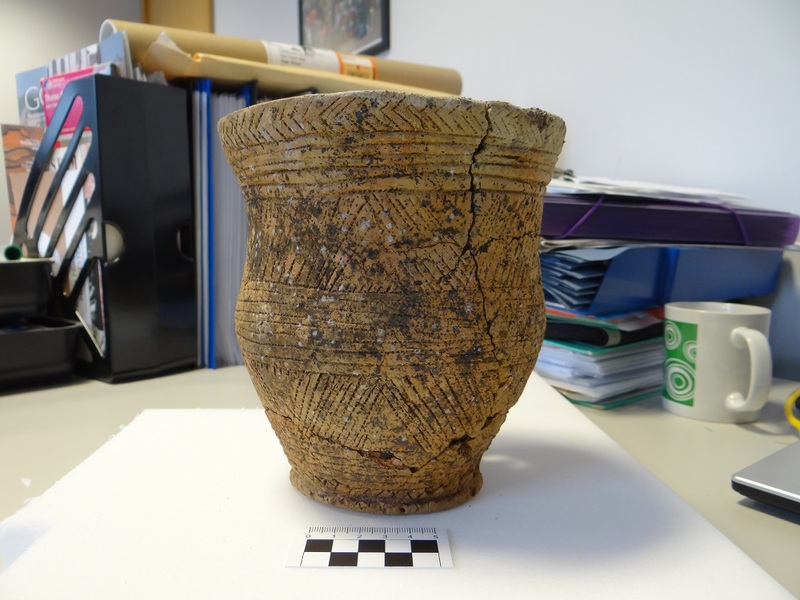 Samples of bone are currently been analysed by Dr Tom Booth, a post-doctoral researcher at the Natural History Museum, who specialises in Bronze Age mummification in Britain. Funding has been kindly granted by the Society of Antiquaries of Scotland to undertake new research: firstly, to carry out stable isotope analysis to hopefully determine the geographical location of this individual’s childhood and to identify if her diet was terrestrial or marine based, by Dr Jane Evans at NERC. Secondly, funding has been awarded to carry out an examination of the pollen on the beaker by Dr Scott Timpany of UHI. We are hoping that as part of the ancient DNA project, we may be granted new radiocarbon dates as well, as long as the aDNA sample gives suitable results. Although none of the final results have come back; preliminary results are looking quite promising. Later in the year, I will be happy to provide an update on the progress of the project as the results of the new research come back. I’d just like to say a quick thank you to everyone involved in making this happen and to all of you interested in the project. If you want to keep up-to-date with everything as it happens, please follow us on our website, or on Facebook, Twitter or Instagram. If you have any queries, comments, or thoughts, please feel free to contact me at: mayahoole@gmail.com. Wonderful beaker! I re-made the Culduthel one. A very strange experience, or experiences. 3. 5. 7. were the mathematical expressions in the decoration. A slow turning wheel was used to refine it….